There is a flower called anemone, it's usually white although it comes in many colors, but it usually has a dark black center. 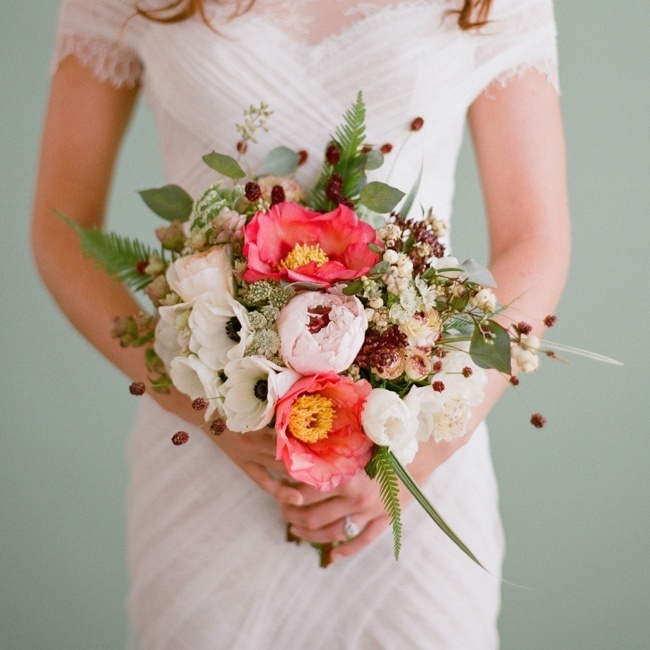 I think of it as an edgy flower, making it perfect for an urban, sophisticated wedding. Of course, it's papery petals means it's also super ethereal and fragile making it perfect for a fairytale, meadow wedding. 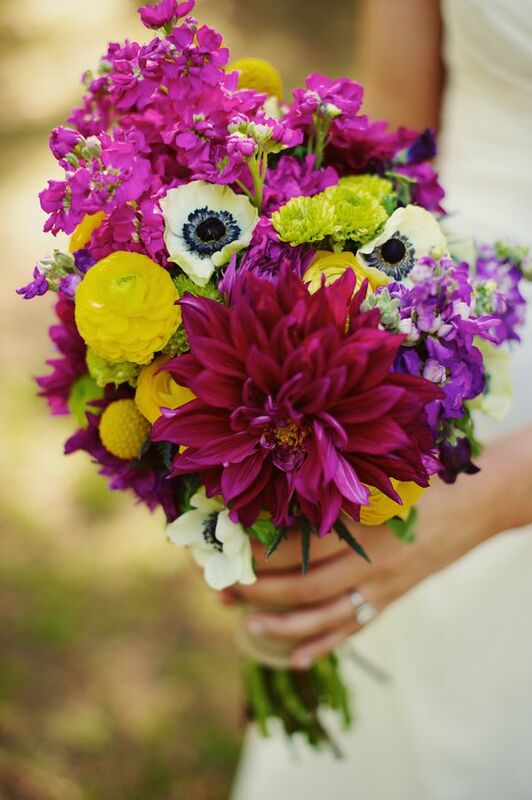 Either way, it's the hottest flower for wedding bouquets right now. 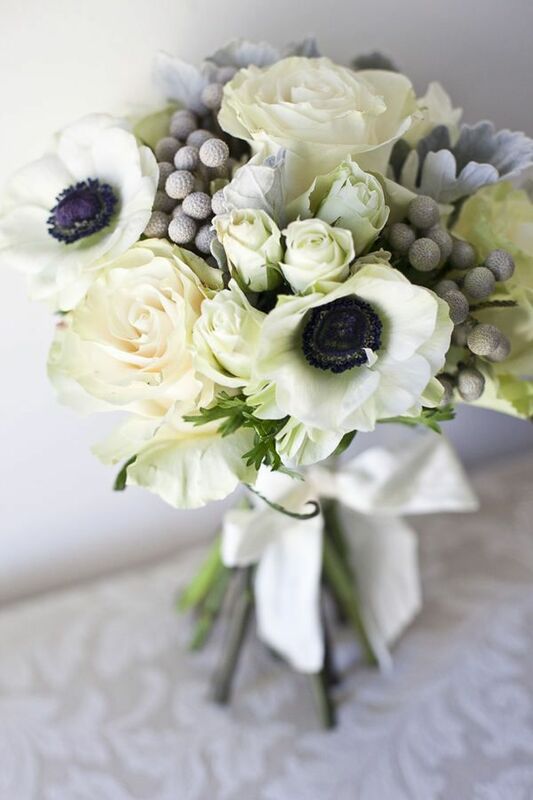 My favorite is when it adds some edge to an all white bouquet. I personally love the anemone flower, plus it's fun to say. 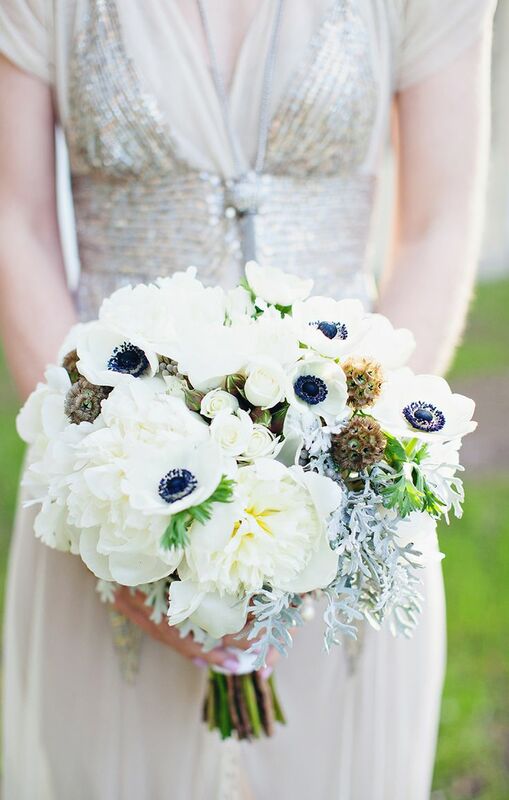 Here are some wedding bouquets with anemones.